Champagne captures the essence of celebration! 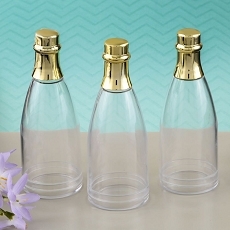 These clear acrylic champagne bottles can be personalised with your own label and filled with treats of your choice. 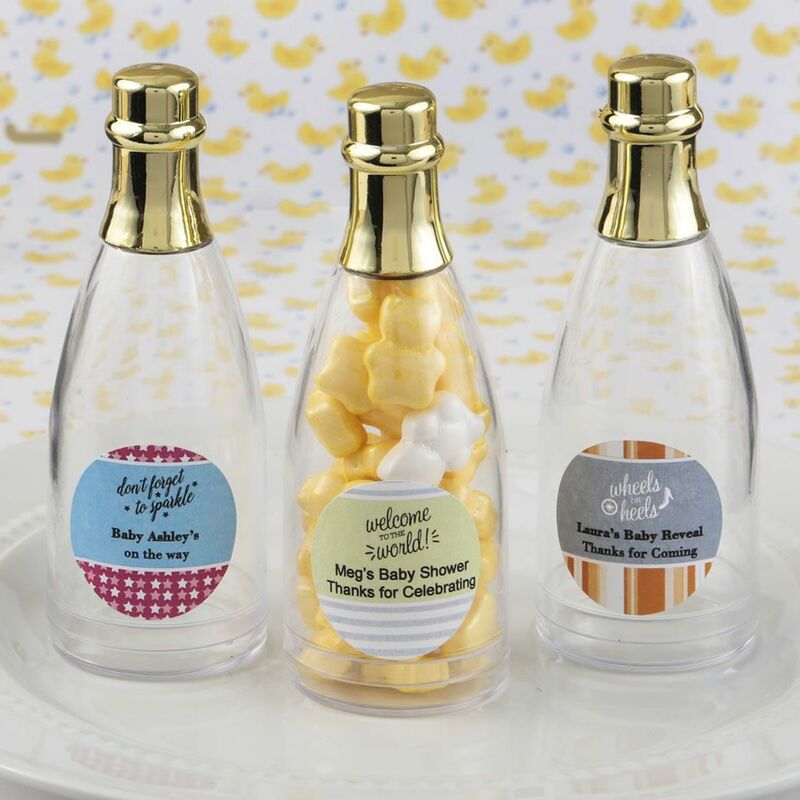 The bottles can be customized with your own easy-to-use sticker to match your occasion. Get creative and use our Online Design Tool to design a label that matches the theme, color and style of your event and preview your label before placing your order. Create a classic personalised favor that will enhance your event tables and make a sentimental reminder of your special day!